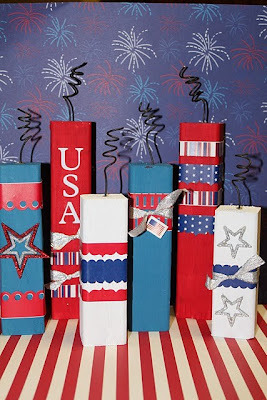 July 4th is right around the corner. It's time to start planning your perfect Fourth of July Barbecue! Gather your food list, decorations and activities that scream out independence and freedom! 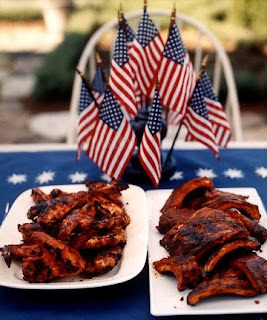 When it comes to food for a Fourth of July BBQ all you need to do is keep it simple and provide foods that are normally served at BBQ’s. Don’t worry about BBQing something that everybody is going to eat because most people will eat your classic BBQ foods, even kids. For meats you should stick with something simple like hamburgers, hot dogs, and ribs. For side dishes you can have potato salad, macaroni salad or any other type of pasta salad that you enjoy on warm summer days. You should also include some type of green salad and corn on the cob (off the grill of course) to round out your major food groups. When planning the food menu for your BBQ do not forget to include some type of chocolate dessert and plenty of beverages for your guests to drink. 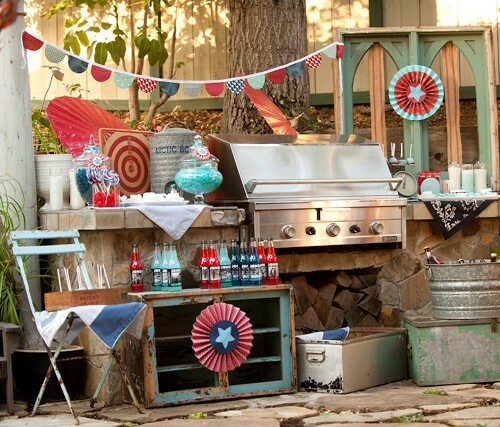 Planning a Fourth of July BBQ for numerous people can get rather expensive, especially if you are the one providing all of the food and beverages. One thing that you can do to help reduce the cost of the food is to have everybody bring something, such as a side dish, dessert, chips and dip, etc. 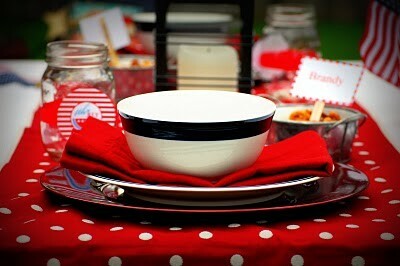 Or you can have everybody bring their own meat and you can provide the side dish. 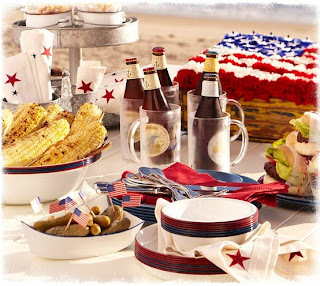 One thing that is really common in Fourth of July BBQ’s is to have everybody bring their own beverages. 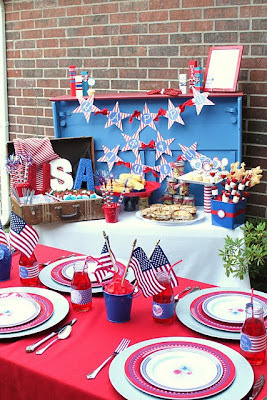 When you are planning a Fourth of July BBQ you will need to think about some kind of decorating theme. 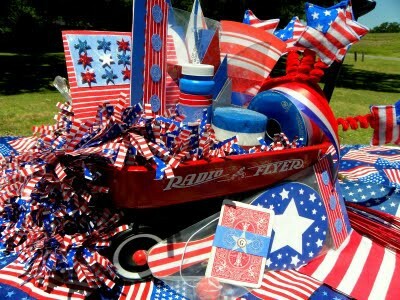 Most people will adorn their backyard with red, white and blue streamers and balloons. 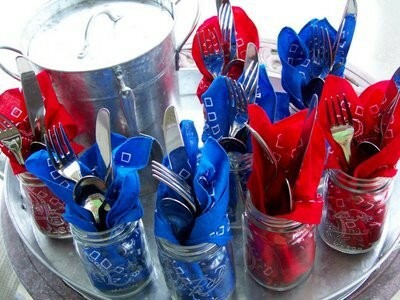 Some other things you might consider adding would be a tablecloth, napkins and plates that are red, white, and blue or you can choose ones that have a picture of the flag or fireworks. Just keep in mind that you are going to want to purchase plenty of paper plates and napkins for the BBQ, this way you won’t have a pile of dishes to wash once your evening has ended. Another thing that you need to think about for your Fourth of July BBQ is what kind of daytime entertainment you will be providing. Will you have a karaoke machine, allow swimming in a pool, have a stereo system set up, or will it be a social event? Whatever you have planned, be sure to inform your guests so that they know how to dress and if they need to bring a change of clothes. One of the most important things to do when planning a Fourth of July BBQ is to decide where you are going to have the party. Some things that come into play would be if you are going to light your own fireworks, or if you plan on going to a park for a professional firework display. Whichever activity you choose be sure to leave extra time available so you can travel to your destination. Or if you are planning on going to a park to watch a firework display you might want to have the BBQ at the park. If this is the case, be sure to call ahead and reserve a table or get there early in the morning so you can still find a table.